Engineering fundamentals and physics of failure are not changed - but the ability to easily interpret the framework in the context of the unique operating environments and usage patterns of effects offers significant optimization analysis and competitive advantage. MADe allows the user to apply a consistent and proven engineering methodologies to the specific requirements of their unique applications in industry. Operational financial and environmental risks of system failure; strictly regulated industry and harsh conditions require specific solutions for systems that are used in the oil and gas sector. MADe is a technological solution that provides the technical capabilities for effective modeling and analysis of necessary information on the system design to optimize the design, commissioning and operation of oil and gas platforms. 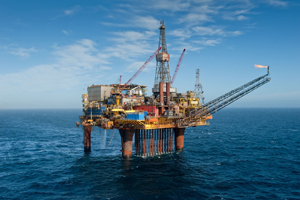 Importantly, MADe can be effectively used to meet the needs of various problems in the oil and gas industry, ranging from remote remote platforms, up to the effective dispatch mode and repetitive transition of the workforce. Аэрокосмические компании работают с глобальным проектированием, поставками, строительством и обслуживанием процессов; в ускоренных обновлениях и улучшениях систем сроков; в индустрии производительности на основе контракта. Все больше и больше значительных экономических последствий связаны с надежностью системы через расход жизни. MADe summary provides modeling and decision analysis which leads to improving the quality of data providers and the system model, "single point of truth", which is easier to integrate with the current process control configuration. There is a requirement to use engineering tools that have the appropriate data quality, use, integrity, and finding opportunities to provide precise engineering simulation and analysis. Operational financial and environmental risks of a system failure, due to the highly regulated safety requirements and a variety of specific geographic conditions, there may be specific problems for systems that are used in the mining industry. MADe is a technological solution that provides the technical capabilities for effective modeling and analysis of necessary information on the system design to optimize the design, commissioning and operation of mining equipment. 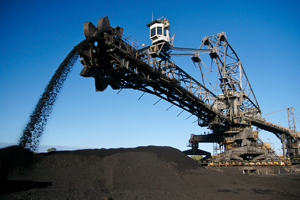 MADe can be used effectively to meet the needs of the mining industry, including the shortage of skilled workers, efficient mode of dispatch and the significant financial consequences of system failure. Mechanical Engineering - the main branch of the global industry. Engineering - one of the most high-tech industries. Mechanical engineering ranks first among industries of the cost of production. It accounts for about 35% of the world's industrial output. 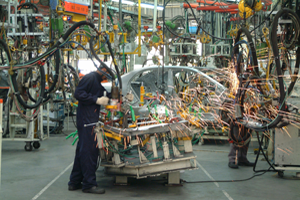 Among engineering industries - the most labor-intensive production. It ranks first in the number of employees (80 million people.).. Especially labor-intensive different instrumentation, electrical and aerospace, nuclear engineering, and other industries that produce sophisticated technique. In this regard, one of the main conditions for the placement of engineering is to provide its skilled labor force, the presence of a certain level of industrial culture, centers for research and development. MADe is a technological solution that provides the technical capabilities for effective modeling and analysis of relevant information. 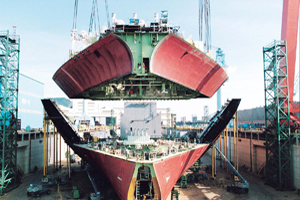 Shipbuilding - heavy industry, is carrying out the construction of ships. Ships or vessels are usually built at the specialized enterprises, shipyards. In the open sea operational reliability is of particular importance. MADe is a technological solution that provides technical opportunity can be effectively applied effectively model and analyze relevant information, as well as to meet the needs of a variety of problems in the sector of shipbuilding.